Top Annual Events in Bryn Athyn, Pa. 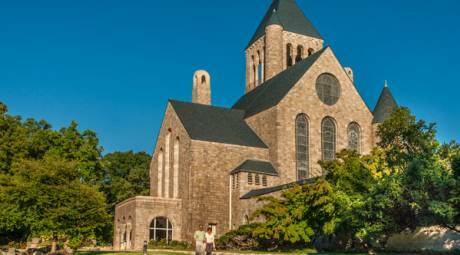 The Bryn Athyn Historic District invites visitors to join them throughout the year for special events that showcase the grand buildings and their history. Here are a few of the annual events that keep visitors returning to Bryn Athyn year after year. 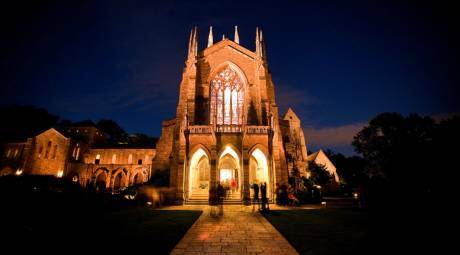 This yearly event is a chance to see the three jewels of the Bryn Athyn Historic District - Glencairn Museum, Cairnwood Estate and the Bryn Athyn Cathedral - lit up inside and out, an incredible backdrop for an enchanting evening. Cairnwood's end-of-summer tradition, the annual Summer Wine Festival brings the best in regional wineries to the Bryn Athyn Historic District for a memorable evening complete with live music. The annual Masquerade Ball at Cairnwood is an evening of historic glamour. 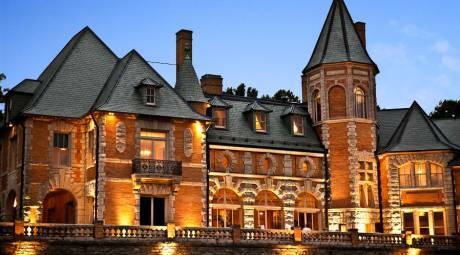 Attendees dress in their finest attire with masks, a formal party that befits the amazing estate. 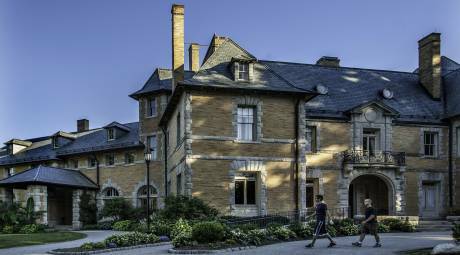 The Gothic-inspired Glencairn Museum plays host to its annual Medieval Festival each October. The event captures the spirit of Medieval Europe with sword fights between armor-clad knights, music from wandering minstrels, and stained glass window making demonstrations. Reflecting artistic expression across multiple ethnic backgrounds, the collection of nativities at Glencairn Museum appeals to all faith traditions. On display are dioramas made for the Pitcairn family, duplicating a set made for the Eisenhowers in the White House in the 1950s.